How to draw Nabiki Tendo from Ranma 1/2. (天道なびき Tendōn Nabiki?) is the middle daughter of Soun Tendo, making her the younger sister of Kasumi and the older sister of the female protagonist, Akane. Nabiki has chin-length hair (brown in the anime) that she wears in a bob cut. As the middle sister, she is midway in height between her sisters, which also characterises her personal style. Aside from the Furinkan High School uniform for female students, she tends to wear a tank top and shirt with shorts or sweater and jeans at home. In this tutorial you will learn to draw a Nabiki Tendo. I will show you step by step drawing her face and upper body. I hope you will learn some Manga drawing tip in general from the tutorial. I usually start my rough sketch with simple geometry shapes to construct the basic Manga head and body. 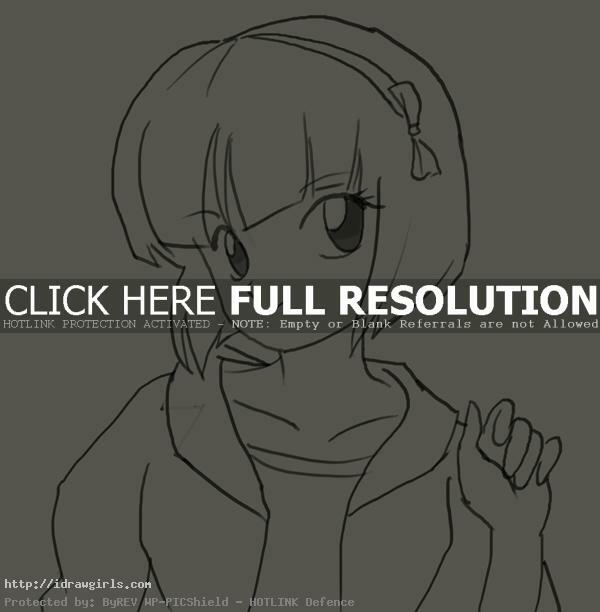 By following this process, you will find drawing is lot easier. It is very important to get the shape, proportion and placement right in the beginning. If you understand its basic foundation, it will be easier to draw anything. 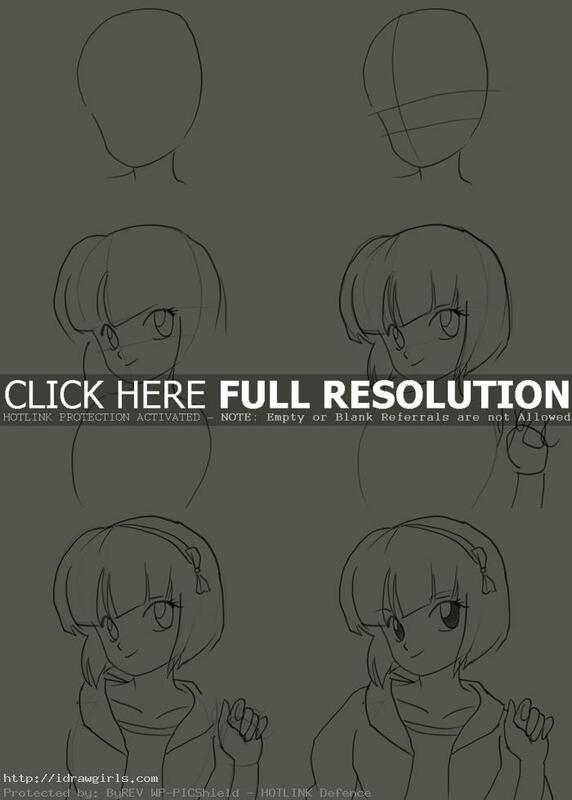 Below are step by step how to draw Nabiki Tendo from Ranma 1/2. Step one, I drew a circular shape with taper bottom. Step two, I drew upper horizontal line intersect with a vertical line in the middle of the face. Then lower horizontal line should equal to the height of her eyes. Step three, I drew her eyes, nose and mouth over the construction lines. I also added her hair style. Step four, I sketched her torso and hand. Step five, I drew jacket and t-shirt over the torso shape and refine her hand.